We are thrilled to welcome Friends of the Riverfront to Etna at 12 Freeport Street! 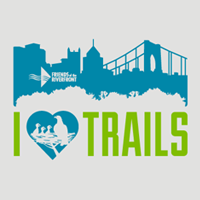 This nonprofit organization is working to extend the Three Rivers Heritage Trail through the Allegheny Valley, including Etna! Check out the feature in the Pittsburgh Business Journal linked below!